Here are a selection of reviews and testimonials that have been taken from genuine customer feedback, social media and review platforms. If you would like to add your own review please send it to us via our contact us form or you can also leave customer feedback on our google business page or facebook reviews page. We really appreciate your time and comments, our pride and reputation is in our customer reviews. Thank you. I got an excellent service, they were very friendly, good people who fitted my blinds. Excellent job fitting them. I would definitely go to them again for something else. 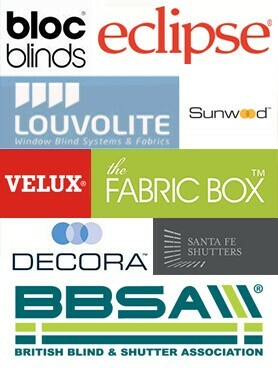 We have used A-Z Blinds in the past and would have no hesitation in recommending them to anyone. They are very knowledgeable and provide excellent products at fantastic prices. They are very professional and friendly, and the service is second to none. 1st class in every aspect. Supplied and fitted Commercial Vertical blackout blinds. Great price, almost half the price of Hillary’s, very quick to set up great service! Supplied and fitted Vertical and roller blinds. Polite friendly staff, nice blinds, quick efficient and very pleased. Supplied and fitted roller blinds. Looks better than I expected, will definitely use again, thank you. Supplied and fitted white full height shutters. I would have no hesitation in recommending A-Z blinds and shutters. I needed a quick turn round for blinds for a whole house and they were there the very next day to measure up and quote. A week later they installed them quickly and efficiently and with no mess. Great service, great price, couldn’t recommend them more highly, you won’t be disappointed. Supplied and fitted Vertical blackout blinds. Hi Steve, Really pleased with the new blinds. They look great on the new windows. Excellent service from Steve and will recommend A to Z blinds to family and friends. Supplied and fitted white Faux wood venetian blinds. Excellent service, very professional and friendly and excellent quality. Great service really friendly and blinds look amazing, thank you. Great service, arrived on time, fitted quickly, great job and very professional service.